Small talk is essential part of our daily English conversations. 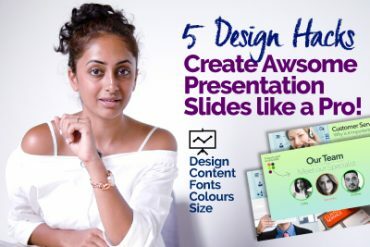 So how do you make your English conversations more cool, engaging and fluent that would make people talking with you for a long time. 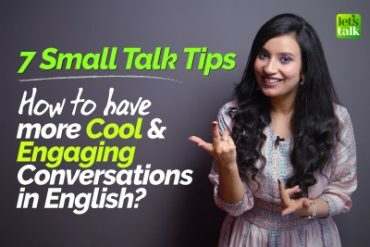 This English speaking lesson with Michelle will provide you with 7 small talk tips to learn English and have some interesting conversations. 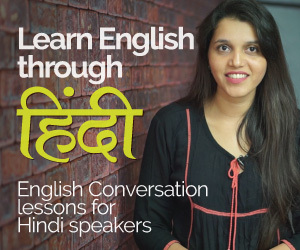 This spoken English lesson is ideal for beginners and advanced level students to help you understand how to ask open ended questions rather than just asking simple Yes/no questions which takes the conversation to the dead end. Learn how to use WH question words to keep the conversation moving. Learn how to use intonations, being a good listener, agree to disagree with people’s view points. Developing communication skills takes time and efforts, just learning the English language would not make you a fluent English speaker. 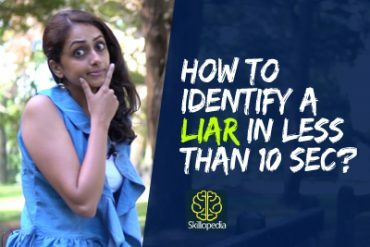 If you want to improve your English communication skills, you need to master the art of small talk in order to develop your English fluency, speak more clearly and confidently just like native English speakers. 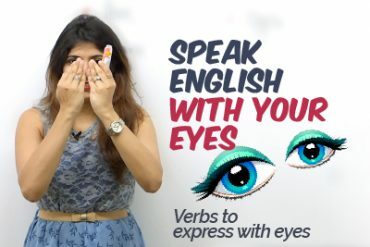 Michelle has also introduced an communication skill app called Cambly and demonstrated how can your improve your speaking skills by practicing intonations with native English speakers. 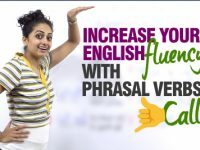 This app would give you enough English speaking practice to speak English fluently in the real world. Hey everybody, so the greatest question that my students ask me is, Michelle how can my English sound more cool, more interesting, more catchy? Um, I wonder if I sound actually very boring in my conversations. So here I am to answer that question. 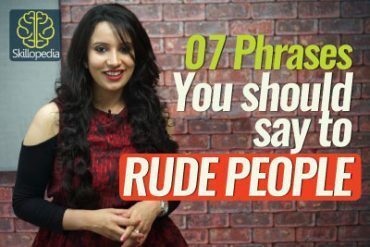 So to sound interesting and cool in English there are seven things that you can do today and this is the day when I’m going to tell you seven strategies to have the most interesting conversations ever. 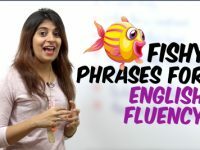 Well for that you need to watch this complete lesson with me Michelle on Let’s Talk the place where you develop your English language skills. So what are we waiting for? Let’s jump right onto it. So the first thing that you can do to leave an impact in your very first conversation itself is to use intonation. Well when I say intonation it means the rise and fall of your voice when you’re speaking. So actually when a person is speaking especially when they’re speaking a second language they tend to speak in a sort of flat tone because they tend to think and speak. So this comes across as a monotone which makes your speech sound kind of memorized. When I say monotone I mean a flat tone. So basically intonation is crucial in catching the listener’s attention and keeping it. So the best way to add intonation to your conversations would be to practice, yeah! And especially with native speakers because they help you learn what natural intonation sounds like. So here I have an excellent tip for you, you can use this app which I love using this is the Cambly app which is really efficient to help you learn natural intonation while conversing with native speakers. So what you get here is real-life native speaker partners who can talk to you and help you with your questions so when you talk to native speakers, they not only tell you what intonation is but also how to add natural intonation to your speaking and how to sound more fluent and natural when you’re speaking. So Cambly is the place to go. 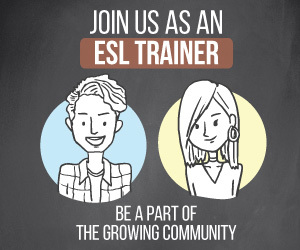 It is an English language learning app where they have trainers from various English-speaking countries, who answer any of your questions related to English. For me the high point of this app is that it acquaints you to different English accents like British, American, Canadian, Irish, Kiwi, South African and some more. Well you don’t believe me, right? So let me do a demo for you now let’s jump right on to Cambly app. So here we are at my phone’s homepage now let’s jump to Cambly so guys as you can see I have 57 minutes remaining and I’m gonna go to the tutors now. Well as you can see we have all these amazing tutors from different countries in green. Well the green sign means that they’re all online, they’re all available to talk with you and to share their ideas and to help you with your doubts so let’s jump on to one of them. Alright, so let’s see whom we could talk to you now, so there are some teachers who are busy but I can see Graham Price and he holds a teaching certificate. Okay this is his profile so he speaks Irish accent and he is an English teacher so let’s just call him. “Hi Graham.” “Hi, how are you?” I had a question about intonation, okay so sometimes I feel when I’m talking my speech is not as engaging and I feel that I can improve on my intonation so I had this question on my mind which is, “when will I see you next?” How do you think the intonation should be for this question? So “when will I see you next?” Okay that’s like kind of so sort of raising up. Generally questions tend to have a slightly higher pitch and tend to go up toward the end. 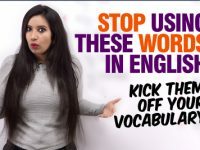 In fact a habit that English speakers have taken from other European language speakers is sometimes in spoken English you can make a statement but ask it as a question which is very common in Latin based languages. So for example I can say, “You are okay” statement. Yeah, “you are okay?” that’s a question. Exactly and that’s how people in say for example France, Spain and Italy they’d often ask questions in that way in their own language. So in English we’ve taken that habit as well but so you can do it in an informal speech. Right so I could say that I have a rising intonation for this question. Yes, you want to go sort of generally statements tend to go down but questions tend to go up. Wow! Lovely that was amazing thank you so much. No problem. Quite on point. Okay. Yeah! Okay, take care. You too. So did you see how amazingly this English teacher answered my questions about intonation, he told me exactly what intonation is and how it should be for different questions and sentences. So I asked him “when will I see you next?” and he told me it should be a rising intonation, slightly rising and even when we say, “looking forward to meet you” it could be a falling intonation because that’s a sentence. So here you are your query resolved. So isn’t Cambly just the perfect place to go? So guys this app is not for free but since you are a Let’s Talk subscriber so we have an offer for you, well if you try this app you will get a 30% discount and if you go for a three months plan which is a quarterly plan you get an additional 10% discount which means a 40% discount. So why not try this amazing app you can get the discount code in the description box below. 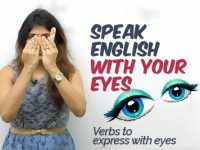 So go ahead and try this awesome app if you’re very serious about learning English and improving your English while talking to native speakers. Now let’s see what else can you do to have an interesting conversation. So everyone loves to talk about themselves. Their ideas and what they love. You love to talk about yourself as well, right? But all you need to do is find out what someone is into and let them talk about it. Even if it is not something you are a fan of. Giving them a chance to talk about their passion will make them feel good and then you’ll feel good too. So here are three good questions to ask, “What do you wish you had more time for?” this is almost same as saying, ‘what are your hobbies?’. 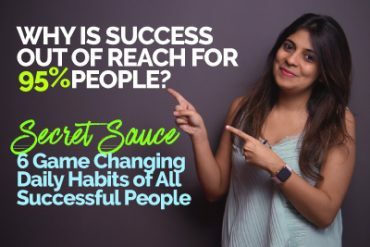 Another question would be, “if you could be doing anything right now what would it be?” This is almost like asking ‘what do you do in your free time?’ And I have one more question, “what makes you jump out of bed in the morning?” So here you’re asking the person about their passion. So this is the way to get someone talking when you let them talk about their own interests, their ideas and their passions. Now finding out what you both enjoy is even better. When two people are talking about something they both love it makes the recipe for a great conversation and may even lead to a lifetime friendship. Well you may not figure it out right away it might take a few tries so be patient and keep searching by asking questions that lead to that common interest. For example, ‘what do you usually do for fun?’ You could also ask, ‘are you into movies, cooking, gardening, cycling, yoga…?’ Or whatever you can start by talking about your own interests you could say that, ‘lately I’ve been spending a lot of time hiking in the mountains’ and then you could ask them, ‘have you ever gone hiking?’ Yes! So this is the way you can get someone talking by talking about your common interests, things that you both love. So showing someone you are interested in what they have to say means asking really great questions and do you know asking a great question takes careful skill. 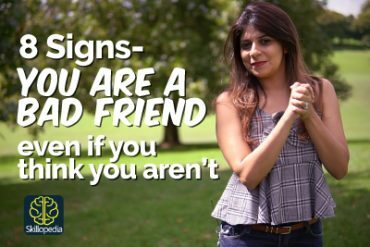 For example if you ask do you like… then the answer may simply be ‘no’ and sadly your conversation ends and you certainly were not very interesting. So instead of asking questions like this where a person answers as ‘yes’ or ‘no’ you need to have sort of open-ended questions. So some great ways to start an open-ended question would be for example to start with ‘what’ for example, “what do you like about traveling?” I’m sure they will have a long answer for that and that’ll keep your conversation going. You could also ask “How would you love to spend a free afternoon?” You could start the question with ‘why’. “Why do you love yoga?” for example or else you could start with ‘if’ this is like giving them a situation, “if you could only choose one fun activity to do for the year, what would it be?” So this is the way to ask open-ended questions to keep your conversations going. Now in addition to asking great questions being ready to give great answers really makes you much more interesting to talk to. So we have all been in those conversations where we try to ask questions but get nowhere as the person answers ‘no’ to everything. For example recently when I asked someone, “what have you been doing lately?” and this morning someone told me “nothing much” and the conversation just died and none of us were interesting. 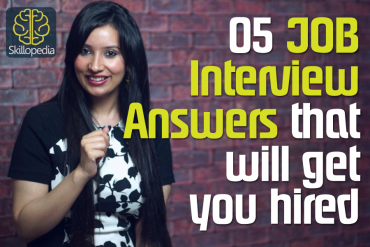 So here are two tips for giving great answers in a conversation. So you should be prepared to answer, “and what about you?” So in other words you need to be prepared to answer questions that you have asked because naturally a person might ask you in return, “how about you?” And here you have to answer your own question. You could also use question words like I said earlier, ‘who’, ‘what’, ‘when’, ‘where’, ‘why’, ‘how’ to think about what to say in your answer and also to use more vocabulary. So this is how you can make your answers more interesting and prevent your conversation from dying. So I’m of the opinion that to be interesting in English conversation means going with an open mind, being ready to hear about different ideas and to accept different perspectives. So if you want someone to leave the conversation thinking that we were interesting that means sometimes holding back on your own opinion and opening up to hear their views. So you can always agree to disagree, right? I mean you can always let people feel comfortable in their views without agreeing and how do you do that? Well I’m gonna tell you that, here are some ways to agree while disagreeing you could say that, “I hadn’t thought of it like that”, “that’s an interesting point of view”, you could also say, “I can see you are really passionate about that, however, I think…” So here what you’re doing is that you’re agreeing to disagree with that person but in a very polite manner. And my final tip would be “keep it short and sweet” which is what I’m doing with this lesson keeping it short and sweet. This is a winner, especially when it comes to being interesting and cool. Talking on and on about ‘you’ when it’s your turn to speak is really boring. So keep it short and don’t worry about tiny details. So what you need to do is you need to stick to the main points and share the conversation so that both of you speak enough and you will definitely end up being much more interesting because you didn’t just go on about the things that you love. 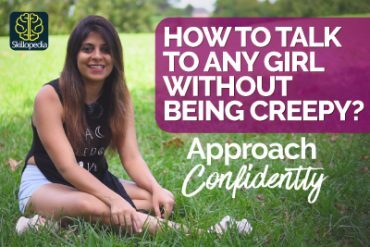 So here we are at the end of the lesson and now I want you to tell me in the comments, ‘have you ever struggled with keeping someone interested in your conversations’, if ‘yes’? 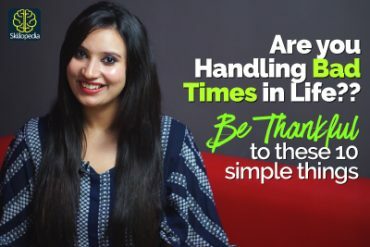 Did you follow any of these tips that I shared or did you follow any of your own interesting tips which can help our other viewers? 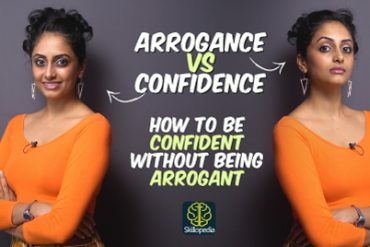 So let me know in the comments how you liked this lesson and which of these tips would you like to use in the future also leave me a comment about your Cambly experience. So thank you so much for staying tuned see you very soon in another lesson till then keep learning, keep speaking English and keep having amazing conversations. See you soon, bye-bye. 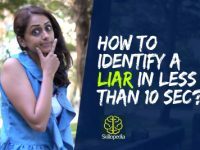 Previous Previous post: How to spot a liar in less than 10 seconds?